Over the past ten years, Healthcare Delivery Organizations (HDOs) have become the #1 targeted vertical industry for cybercriminals, sustaining over 24% of all breaches. With over one billion visits per year, healthcare databases represent a uniquely rich attack surface for cybercriminals. 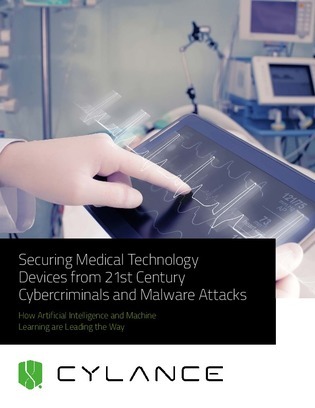 In this white paper, you’ll uncover the issues with classical malware approaches for medical technology devices and how AI and machine learning can be used to reduce the risks of cyberthreats to medical technology devices. Continue reading to learn about the importance of protecting your medical devices without impacting functionality.